Claus G. KRENN was born in Vienna, Austria in 1963, graduated in medicine in 1988 and specialized in Anaesthesia and Intensive Care at the Medical University of Vienna. He obtained his PhD title in 2001 for research in the field of “Dynamic liver function testing and intensive care measures after liver transplantation” and is currently Professor of Anaesthesia and Intensive Care Medicine and head of one of the ICU´s at the General Hospital Vienna/ Austria – Medical University Vienna/Austria. In 2008 he obtained a MBA course at the Viennese University of Economics. Research and teaching activities focus on sepsis, hemodynamic monitoring, respiratory failure (University of Uppsala/ Prof. G. Hedenstierna) as well as liver dysfunction and failure, including transplantation and extracorporeal organ support. 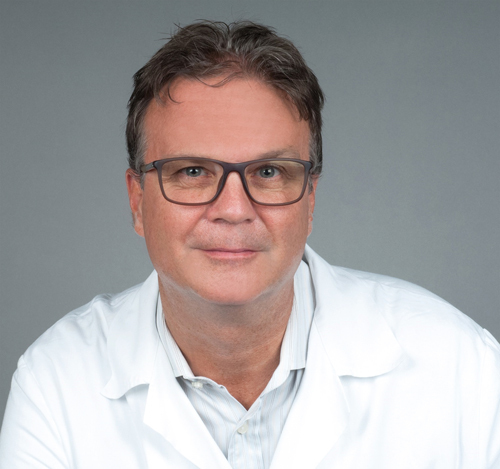 He is since 2001 Board Member for Intensive Care of the Austrian Society of Anaesthesiology, Reanimation and Intensive Care Medicine (ÖGARI) and Past-President of the Austrian Federation of Intensive Care Societies (FASIM). He has published about 100 original articles and book chapters.